VIENNA, AUSTRIA 28. February 2019. 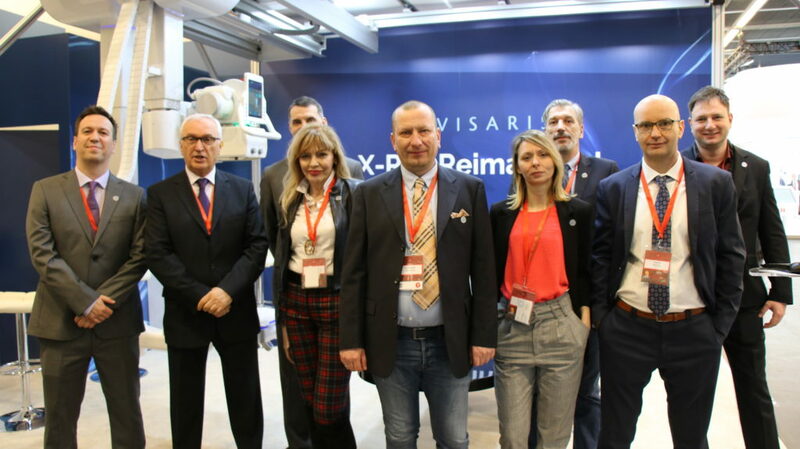 Visaris presented its novel, multipurpose Vision AIR system at ECR 2019 from February 27 – March 3, 2019 in Vienna. Vision AIR is a highly capable diagnostic device offering both static and dynamic imaging in a single high performance device. 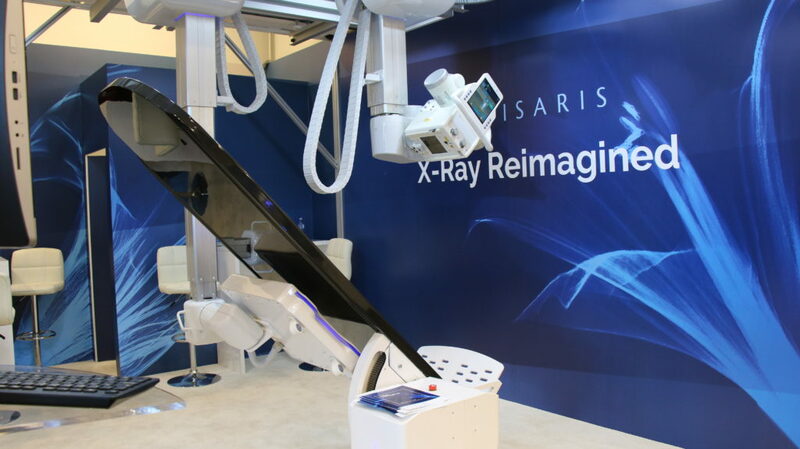 It features fully automated ceiling suspended the tube and detector stands, offering a vast range of imaging positions and the innovative tilting table offering both radiographic and fluoroscopic imaging capability. 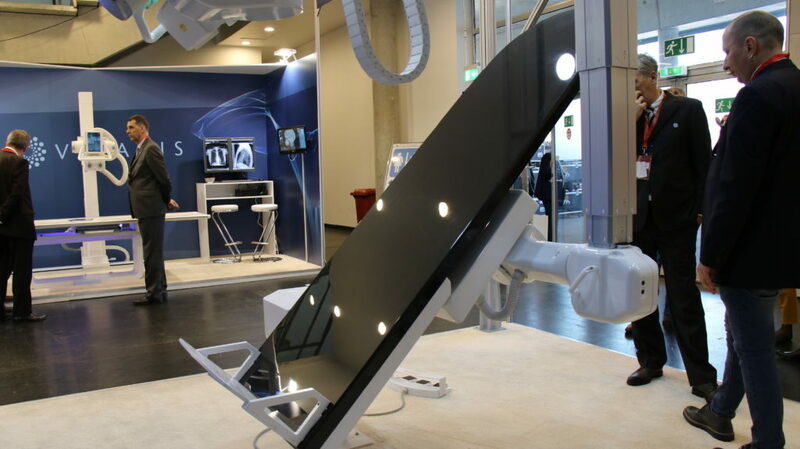 Vision AIR table is an innovative design offering fully x ray transparent carbon table-top capable of a full range of tilt positions used in fluoroscopy imaging procedures. The benefits of the new Vision AIR platform are manifold. 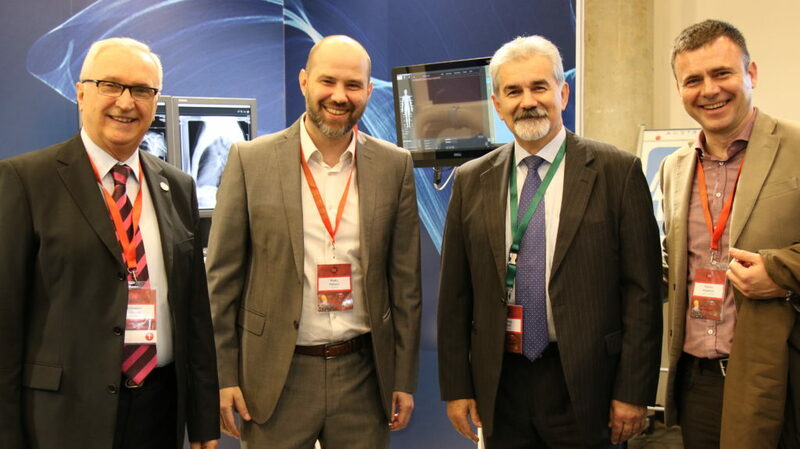 Providing a full range of imaging functions for both radiography and fluoroscopy diagnostics Vision AIR eliminates the need for two separate devices, holding up two rooms, two service contracts, two training programs to train staff on two separate imaging platforms … Now, all imaging can be done on the new Vision Air. 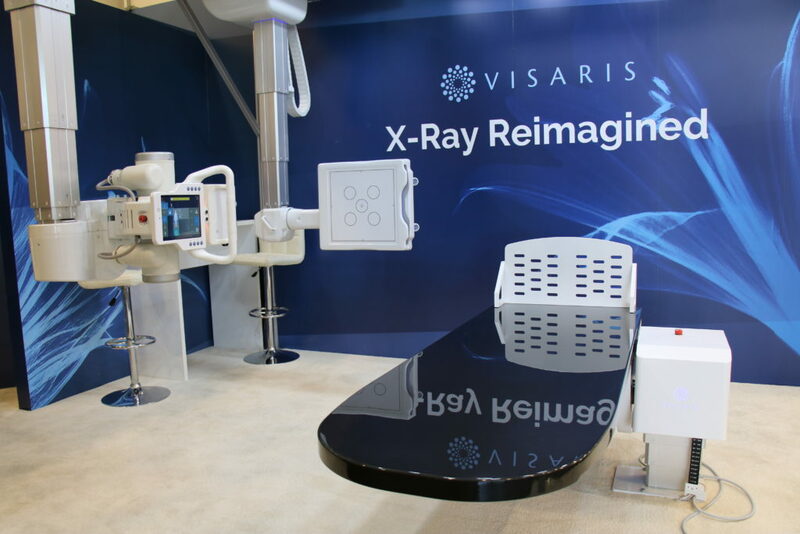 In addition to the Vision AIR Visaris highlighted a number of improvements to the existing range of Vision systems. In particular, Visaris’ already proven workflow efficiency is further improved with advanced concepts such as button-less positioning controls and further automation that means a whole examination can now be completed in just two clicks. Also changes under the hood, Vision generation three of Vision system control electronics, will mean improved reliability, serviceability and performance with 40% fewer cabling and about half of all the electronic modules found in the previous generation of Vision devices.